Do You Worry About Being Sick When You Get Older, Like What Happened To My Dad? "I'm sorry, but I have bad news." He paused, then looked at my father. In high school my dad had been an athlete, an All-American football player. Now he was sick. Very, very sick. He had difficulty breathing and was on oxygen. For eight years he needed a machine to help him breathe. No longer able to work, my father STRUGGLED to do the things you and I take for granted, such as getting out of a chair or going to the bathroom. 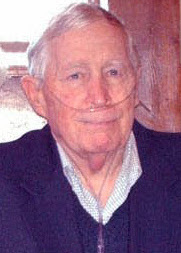 What frustrated him the most was not being able to play with his grandchildren. Eventually, he could not make it up the stairs to his bedroom, so he slept downstairs on the den couch. Before too long, they replaced the couch with a hospital bed. A Hospice nurse was there now too. One day Mom was in the kitchen. All of a sudden, she heard Dad GASPING for air. She ran into the den and saw him STARING at the ceiling. She yelled, "Breathe, Paul! BREATHE!" 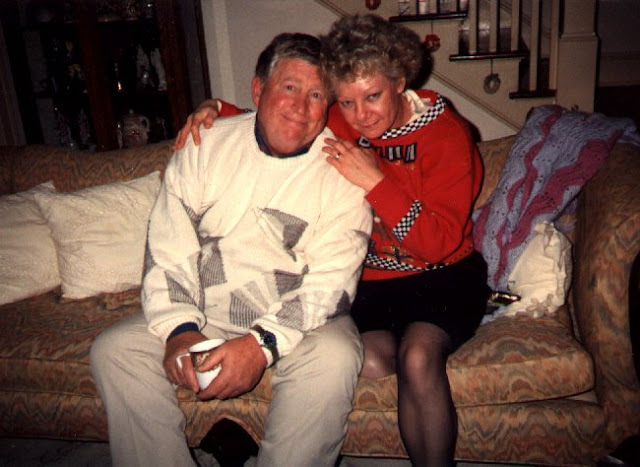 The next thing she knew, my dad was gone. 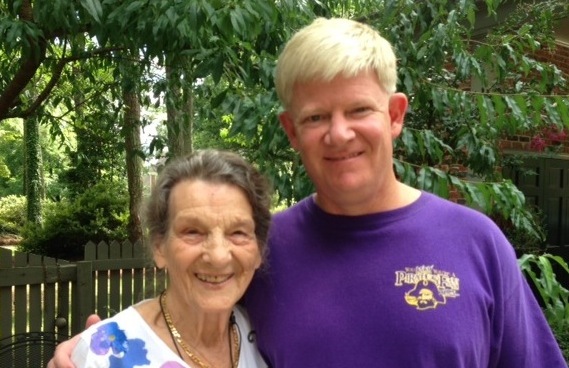 Early that evening, I received a phone call from my mother. "I guess you know why I'm calling." "Why?" I replied, though I already knew the answer. After I saw what happened to my dad, who suffered for eight miserable years, I thought to myself, "I don't want to end up like that." So I began to read and study about health and nutrition. I was shocked to discover, according to recent statistics, 7 out of 10 people will die of heart disease, cancer or stroke. Will you beat the odds? It’s been nineteen years now and she still does not need to wear glasses. Q: What is it? 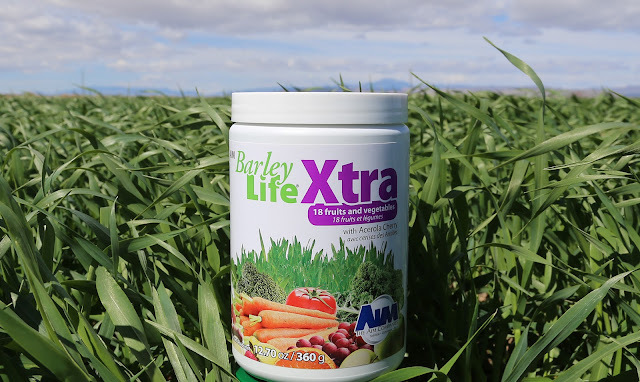 BarleyLife® Xtra combines eighteen fruits and vegetables with young barley grass, one of the most nutritious plants on earth. Q: How much does it cost? It depends. Let me tell you how it comes. They have several options, depending on what you want. The retail price of BarleyLife® Xtra is $67.50. If you like buying in bulk, they have a bargain hunter package - six canisters for $390. 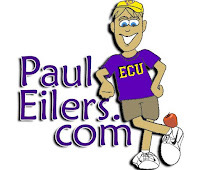 You also have the option of becoming a Member and getting it at wholesale. You know how Costco™ and Sam's Club™ have an annual membership? And then you get things at a special member price? For a one-time fee of $20, you get a membership. This allows you to get BarleyLife® Xtra at the wholesale price of $52.50 and save money. The member price for the six-canister bargain hunter package is $300, which comes to $50 per canister. Note: If you order $100 or more on your first product order, the $20 application fee is waived and you get your membership for free. Note: If you decide to sign-up for the monthly auto-ship, you get an additional five percent discount on orders of $100 or more. On orders of $300 or more, you get an additional ten percent discount. Q: Will it work for me? I don't know if BarleyLife® Xtra will work for you or not, but what if it does? What if it works for you the way it has for me and my family? That's why I say, No Promises, No Problems. Since you're unique, I have no idea how concentrated nutrition will work for you. The only way to know how anything will work is for you to try it. Q: My family already takes multivitamins. Why do we need BarleyLife® Xtra? BarleyLife® Xtra is real food. On the other hand, most multivitamins are essentially useless and even unhealthy, because they're synthetic (made in a laboratory). "Your body isn't designed to take synthetic vitamins, regards them as toxins, and attempts to eliminate them as rapidly as possible. They act like stimulants, hasten the aging process, rob your body of energy and provide expensive color to your urine." - Dr. Joel Robbins, M.D. Why would anyone waste their money on synthetic vitamins, if they knew they could be doing much more harm than good? Note: If you prefer to buy cheap multivitamins from a big box store or grocery chain, then BarleyLife® Xtra is probably not for you. Q: How do they make BarleyLife® Xtra? 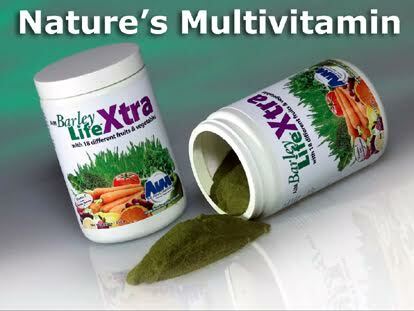 It's made by taking nutrient-rich plants like barley grass, carrots and broccoli and juicing them. It's then made into a powder. 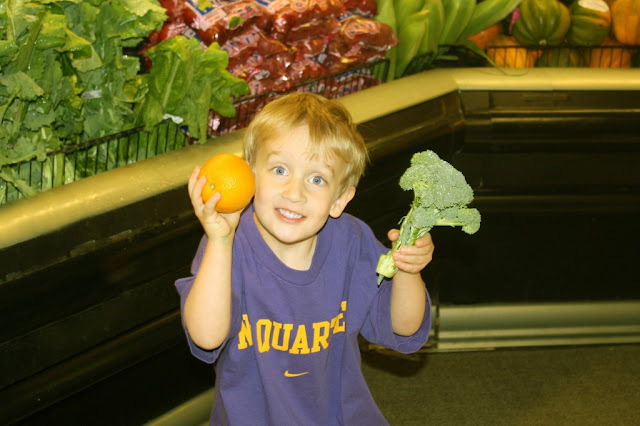 When consumed, the nutrients are absorbed into your body as if you had eaten the fruits and vegetables whole. Note: Over the years, numerous green drinks have flooded the marketplace, often labeled "green super foods." 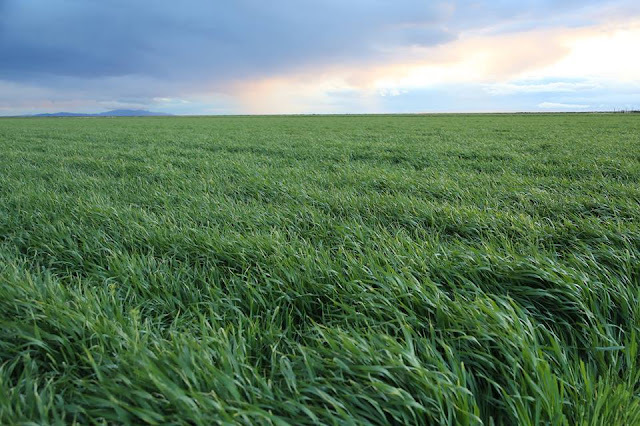 They're nothing more than milled grass or finely ground dried grass, which is CHEAP to make, has minimal nutrients, and a high profit margin. It’s the equivalent to drinking yard grass clippings. On the other hand, thirty-seven years have been invested into perfecting the process of making BarleyLife® Xtra, including cutting, juicing, spray-drying, and vacuum-sealing the young barley plants, within minutes after they are harvested. This is what separates BarleyLife® Xtra from the Amazon, eBay and grocery store cheapies. Q: What’s the best way to take BarleyLife® Xtra? It is best absorbed when taken on an empty stomach. Also, do not take BarleyLife® Xtra with acidic juices like orange juice, nor with soft drinks or coffee, as these tend to destroy the nutrients and inhibit absorption. When giving BarleyLife® Xtra to our son, we mix it with apple and white grape juice in a blender bottle, along with purified water. When I take BarleyLife® Xtra, I use a spoon and swallow it with water. You can also mix it in a glass of water or a mixer bottle and drink it as a juice. Update: Our son, Brady, no longer uses juice to take his BarleyLife® Xtra. He now puts the green powder on a spoon, swishes it around in his mouth with water, and swallows it. 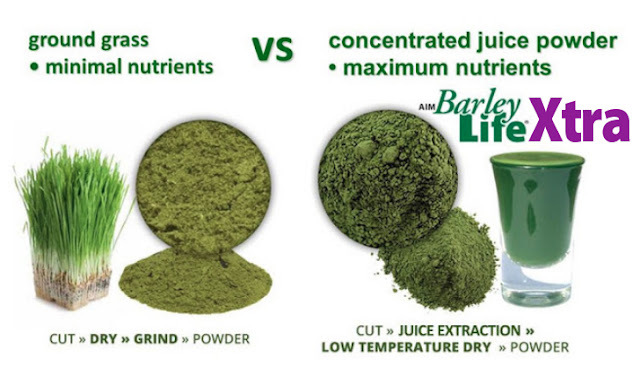 On the other hand, because BarleyLife® Xtra does not have fillers, you're getting nothing but concentrated nutrition. 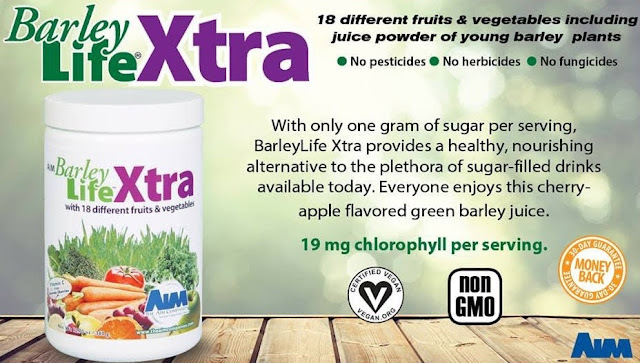 BarleyLife® Xtra also does not contain pesticides, food coloring, processed sugar, synthetic stabilizers, starch, gluten, soy, wheat, corn, binders, or filler. There are no preservatives or other toxic additives. The chemical structure of chlorophyll (healer of sick cells) closely matches the hemoglobin in human blood. By taking BarleyLife® Xtra, your blood will carry much more oxygen. Increased oxygen is beneficial for healthy red blood cells, breathing conditions, brain fogginess and more. Q: How much vitamin C is in BarleyLife® Xtra? BarleyLife® Xtra delivers 34 percent of the daily requirement for vitamin C per serving. Vitamin C is a critical nutrient for holding your muscles, bones and tissues together. It protects against bruising and helps your body absorb iron and folate. Vitamin C also keeps your gums healthy, promotes the healing of cuts, scrapes and wounds, protects against infection as well as cell-damaging free radicals. The acerola cherry in BarleyLife® Xtra is one of the highest available sources of natural vitamin C.
Q: What age groups can take BarleyLife® Xtra? 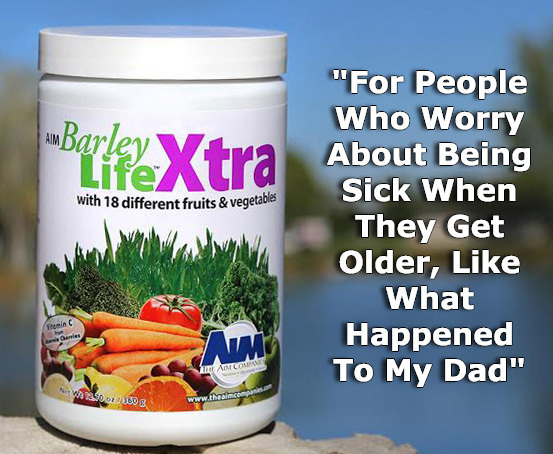 BarleyLife® Xtra is good for everyone, from babies to teens to adults. Babies as young as two days old have been started on BarleyLife® Xtra (by dropper or tiny amount dry in their mouth). We added a small amount to the bottled breast milk of our son, when he was only a few days old. 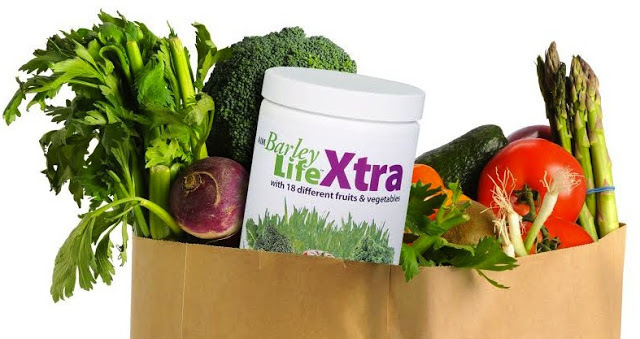 "These fruits and veggies are found in BarleyLife Xtra!" Q: How is BarleyLife® Xtra sweetened? BarleyLife® Xtra is naturally sweetened with fruit and vegetable juices, along with stevia, which is made from the stevia plant leaves. The stevia and fruits act on the sweet taste buds in the front of the mouth. This provides a sweeter taste, without adding a lot of sugars. One serving of BarleyLife® Xtra provides a single gram of natural sugar. 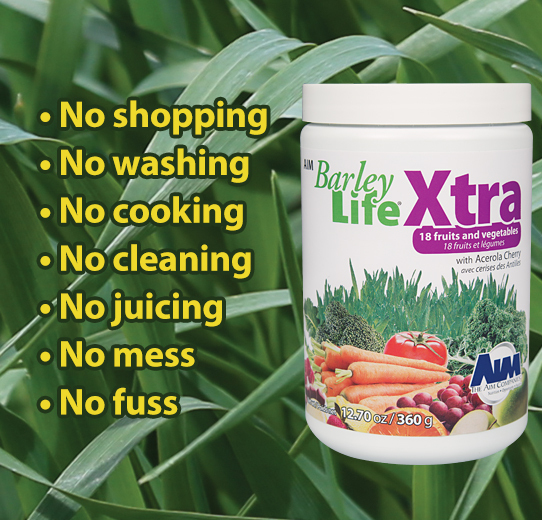 Q: Do you have a list of all the ingredients in BarleyLife® Xtra? Juice powder of young barley plants, oligodextrin, apple juice solids, acerola cherry, stevia, fructooligosaccaride (chicory), natural cream flavor, cherry, malic acid, guar gum, natural apple flavor, brown rice, broccoli, carrot, natural cherry flavor, cranberry, grape, lemon, lime, orange, pineapple, raspberry, strawberry, tomato, kale and kelp. A study at John Hopkins Medical University found beta-carotene (Vitamin A) helps prevent cancer. These researchers say people who often eat green leafy vegetables have a much lower chance of getting cancer. Deep green, leafy vegetables are high in beta-carotene. BarleyLife® Xtra is extremely high in beta-carotene. It has 2½ times the beta carotene found in the same weight of raw carrots and twenty-five times that found in an equivalent weight of raw broccoli. Another study found there are over a thousand different live enzymes in BarleyLife® Xtra. One of those enzymes is super oxide dismutase (SOD). The aging process has been directly linked to decreasing amounts of the SOD enzyme in the body. They've also discovered by increasing the amount of SOD in your system, the body repairs itself more quickly, has less inflammation and acts as a preventive of cancer. Another enzyme found in BarleyLife® Xtra is P4D1. In laboratory tests, the P4D1 enzyme has been shown to eat the protein sheath off of cancer cells, allowing white blood cells to attack. One factor of whether or not a person develops clinical cancer depends on the ability of their immune system to destroy cancer cells. Yet another study by Cambridge researchers showed the likelihood of children developing asthma is significantly reduced by a diet high in antioxidants (cancer fighters). BarleyLife® Xtra is loaded with antioxidants. Finally, Indiana University School of Medicine at Ball State University conducted a study using thirty-two students. They wanted to determine whether or not the barley grass plant could strengthen the immune system. After seventy-one days, blood was drawn from each participant. It showed the immune system was statistically strengthened in the students and their immune systems had become stronger than at the beginning of the study. Q: Does BarleyLife® Xtra cure disease? 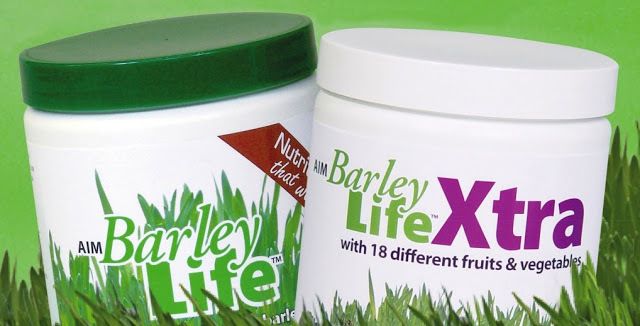 BarleyLife® Xtra is not promoted as a product that cures disease. It's the human body that's the real miracle. It simply needs high-quality food to do its work. BarleyLife® Xtra is a high-quality food. Q: How long have you been taking BarleyLife® Xtra? I've been using BarleyLife® and BarleyLife® Xtra for over twenty years. 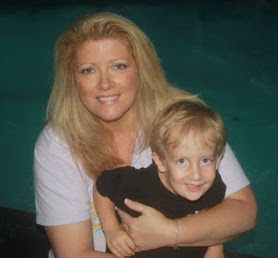 It all started when I saw what happened to my friend, Janice Gravely, who turned her health around by changing her diet and using BarleyLife® as well as other AIM supplements. Then my wife started taking BarleyLife® after we were married. About a year later, she was surprised when she no longer needed to wear glasses. Laura also took BarleyLife® during her pregnancy with our son, Brady. So he has been taking it since before he was born. It’s been over eleven years now and Brady is one healthy critter! Q: Who makes BarleyLife® Xtra? 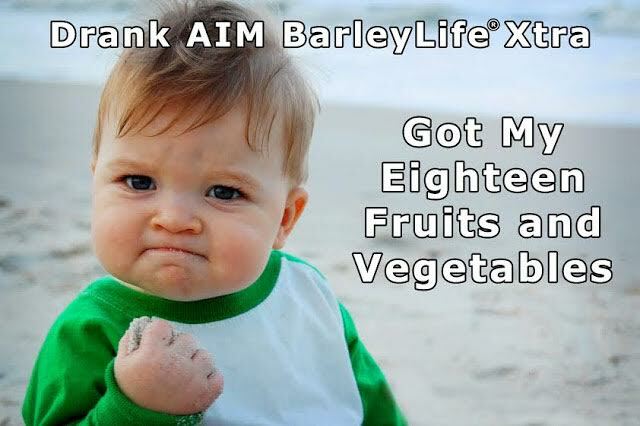 BarleyLife® Xtra is made by The AIM Companies™, a thirty-seven year old company in Nampa, Idaho. In 1982, AIM pioneered a way to juice plants such as carrots, beets and barley grass. The juice is then made into an easy to consume powder, delivering concentrated nutrition to your body. Q: Is The AIM Companies™ a network marketing company? Yes, it's a no-nonsense company that focuses on health and nutrition. There is the option to do network marketing, if someone wants to do it. However, I focus on getting customers. I use this website to bring information about BarleyLife® Xtra directly to people who want to learn more about it. The AIM Companies™ compensates me to do that, instead of setting up retail stores. Anyway, I do not hype or hound anyone, in case you're worried about that. Fewer than one in a hundred people want to do any type of sales, so why annoy them and take a chance on losing a good customer? I also do not try to convince or persuade anyone to become a customer. I simply find people who believe nutrition matters and makes a difference in their health. The Bottom Line: If buying nutritional supplements from a network marketing company makes you feel at all uncomfortable, then you should not order BarleyLife® Xtra. Q: How often do I have to order? You only order what you need. There is no monthly quota or required minimum order. You order what you want, when you want it. Many folks are understandably skeptical of network marketing companies and concerned they'll have products coming to their house every month - even if they don't want them. An AIM membership is simply a wholesale number, like you get at Sam's Club™, which allows you to order products at the wholesale price and save money. Q: Does BarleyLife® Xtra come with any type of guarantee? BarleyLife® Xtra comes with an absolute satisfaction, no fine print guarantee. 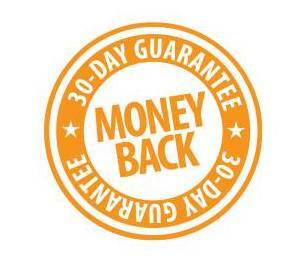 If for any reason you are not completely satisfied, simply return the unused portion within thirty days, for a full one hundred percent money-back refund. No hassles and no hard feelings. Q: How do I order BarleyLife® Xtra? You have the option of going online or calling 1-800-456-2462. It's extremely convenient and your order arrives within five to seven days. When calling to become a Member and order BarleyLife® Xtra, use our referral number 477210. 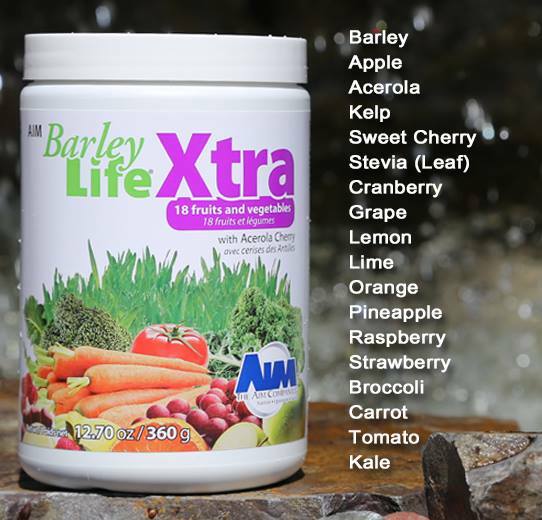 BarleyLife® Xtra is an excellent way for you to reap the benefits of a diet rich in fruits and vegetables. It only takes a few minutes a day to give your body the nutrition it needs, but the benefits last a lifetime. You may be thinking, "All of this sounds good. But what are the negatives regarding BarleyLife Xtra?" A small number of people may feel worse after taking BarleyLife® Xtra. This is due to a cleansing process known as detoxification, which is the body getting rid of toxins. A few people might experience tiredness, a rash or a headache. This can last a few days. The kelp, vitamin K and a few other vitamins and minerals found in BarleyLife® Xtra can interfere with some medications. As long as your doctor has not forbidden you from eating salads or green vegetables, you can consume BarleyLife® Xtra. Nutritional supplements typically take time to rebuild the body. They're not a quick fix like drugs or surgery, which usually do not rebuild your body. People who are extremely sick need to use BarleyLife® Xtra for at least three months to notice a difference and feel confident they're doing the right thing for themselves and their family. BarleyLife® Xtra is not marketed as a magic bullet or 'miracle' drug. It is part of an overall healthy lifestyle. Removing sugar and vegetable oils from your diet, along with eating and drinking well, exercising well, and sleeping well, goes a long way towards putting the odds for good health in your favor. 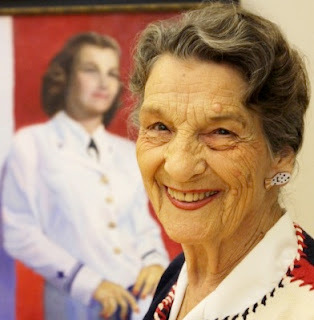 "When we lived in San Antonio, my wife and I drove down to the border town of Larado. 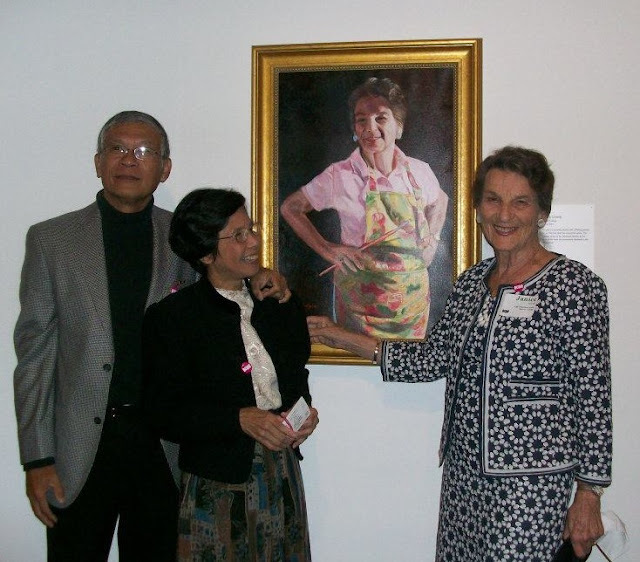 This elderly lady was there with her hands and fingers constricted like claws, from arthritis. I was amazed at how bad they were. I suggested she start taking large amounts of BarleyLife. When I say large amounts, I'm talking about five to seven tablespoons throughout the day. Testimonials should not be construed as representing results everybody can achieve. BarleyLife® Xtra is not intended to diagnose, treat, cure or prevent any disease. Results may vary per person. P.S. 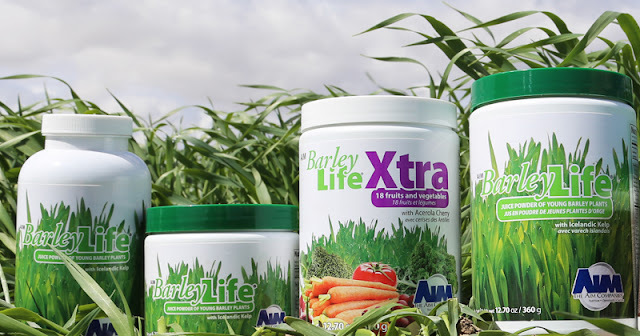 BarleyLife® Xtra is for people who believe nutrition matters. They worry about being sick when they get older and want to do everything they can to put the odds for good health in their favor. If for any reason you are not completely satisfied with BarleyLife® Xtra, you get a full 100 percent money-back refund. No hassles. No small print. No hard feelings.